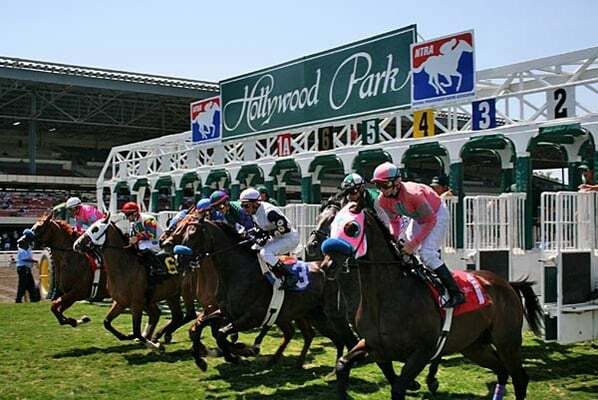 Hollywood Park was came to life from the vision of motion picture mogul Jack L. Warner. At a cost of $2.5 million dollars, farm land was going to be turned into a playground for the rich and famous. The idea held water as America was attempting to pick up steam from the Great Depression. The country was ready to stretch its legs again, and Inglewood, California was the perfect place to make dreams come true. There are some great stories from the folks who have been bringing racing to life for years. Jay Hovdey of the Daily Racing Form may have the best story I have read: “Hollywood Park’s rich history can never be torn down.” He paints the familiar trek of going to the races with his dad to see his hero Hill Rise. It captured my attention as I made a similar voyage some years later. He made his way from weekend warrior to track publicity hand. A story that track employees from the parking lot to the press box could understand. Hovdey captured the excitement. He put into words what others only felt in their hearts. Mary Simon wrote a piece that quoted Joni Mitchell in the first few lines: “They paved paradise, and put up a parking lot.” – That about says it all, but her prose delighted this racing fan by detailing her entry into the sport. She may have missed the “glory days” of the 40’s and 50’s, but the 1970’s still held action. It may have been a little less glamorous, but the overall feel was that it still held magic. She was on hand to witness many of the greats, and watched as the game evolved into a frenzied celebration of the horse with the creation of the Breeders’ Cup. I think she’ll always have a soft spot for Hollywood Park. It’s not everyday you meet your life partner at the races. Hollywood Park’s eulogy is being written by many. It’s more than just a race track being turned into a mega-complex, or a Fat Burger. We are losing a big piece of the puzzle. I remember when my grandpa would tell me about Bowie, Havre de Grace, and Miles Park. At the time they were just names, and what did it matter ? – But, after further review I now understand what he was talking about. I have been a Kentucky-bred player who grew up watching Latonia (Turfway Park), and taking the boat to River Downs (Belterra Park). I spent Saturday afternoons with my dad watching glorious claimers do battle. But I digress. – I have been watching and wagering on the races from Hollywood for quite sometime, but the closest I came was flying over on my way to LAX. Ak-Sar-Ben, Bay Meadows, Blue Ribbon Downs, Detroit Race Course, Great Lakes Downs, Longacres, Liberty Bell, Manor Downs, Narragansett, Playfair, Tropical Park, The Woodlands, and Yakima Meadows. There was a story many moons ago in the Daily Racing Form. It spoke of “Super Tracks,” and how small time ovals would go the way of disco and dinosaurs. The racing world would be able to watch and wager on the best in the country, and you could count on seeing quality action to keep us on the edge of our seats. I never thought this could ever come true, and a major player like Hollywood would have sure been on the list of the big boys. There are so many memories over 75 years, and they will have to last us a lifetime. If you’re a casual fan, a weekend warrior, or play the game with gusto. You get one more glimpse as they close the doors for good on 12/22/13.